Forever Eden Organics is a Manufacture of Personal Care, Home Care, Pet Care and Specialty Wellness Products made from Organic ingredients. We craft great items from scratch in our commercial facility headquartered in California, Maryland. Our products are 100% free from chemicals, artificial ingredients/colors/fragrances and made from only food grade Organic ingredients. Read your labels not only to verify the ingredients, but where it's made. When you purchase our products you support a Maryland company whose proceeds support many local Maryland charities and community initiatives. As of January 2014 Forever Eden is Certified Organic from the Maryland Department of Agriculture. The origin of Forever Eden’s organic products stem from a family need of two sisters who could not use products which had scents or chemicals. They found goods being marketed as natural and organic often still had fillers or preservatives. When they did encounter true natural and organic products, they were often unaffordably priced in comparable pricing to their “un-natural” counterparts. One of the sisters felt compelled to use family remedies and ingredients from around the world to create her own collection called Forever Eden. Since 2008, a once hobby has thrived into a successful global endeavor. Forever Eden’s dedicated customers have ensured the company’s success by sharing their love for the products with family and friends. Forever Eden now has over 55 products in their exclusive collection which are made of organic and certified organic ingredients. The company purchases and blends bulk organic ingredients from around the world according to their exclusive formulas and places the goods into Eco-Friendly packaging for sale. The products have a year shelf life and are currently available in Journey and Personal sizes with Family and Professional sizes coming soon. Customers currently using Forever Eden purchase their products at select retail stores, community events or while attending a Forever Eden Wellness Spa event held at customers’ locations. Customers also purchaese products via our Forever Eden company website with both local and international orders. International exposure has been increasing with repreat customers from across the globe. Forever Eden is growing by leaps and bounds. “We would like to personally say Thank You to every customer who has ever supported us. There are no words that can express our feelings of gratitude. Soon Forever Eden will need additional staff to handle the increased product production, customer service, events, future product development, and to maintain retail customer and wholesale store demand. We are sure our Organic Certification will also impact our progress in expansion. 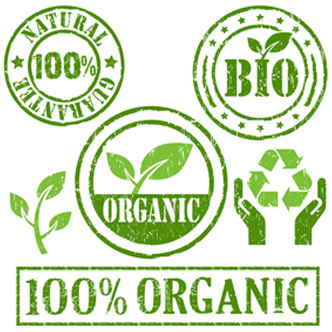 As we continue to offer our global customers quality affordable Organics handcrafted and distributed from Southern Maryland, we are currently seeking a larger commercial space primarily in St. Mary’s County to expand our operations and manufacturing facility” says Co-Founder Wynne Briscoe. One secret ingredient of Forever Eden’s success is researching the most commonly consumed skincare products. We then priced our organic products to match or offer them for less. Inflating the product price just because it’s organic negatively impacts the world as it often discourages consumers from using natural products because of affordability. At Forever Eden our focus is on educating the consumer on the health benefits of using organics versus just selling a product. To ensure customer trust and loyalty, Forever Eden is committed to fixed prices. Each of our retail ready products have a standardized MSRP pricing label to ensure no matter where our products are sold or purchased they will always be the same retail price. Where everything they needed was provided from the earth in the purest form and truly Organic. Like the Garden of Eden, Forever Eden will soon be the global source for all things Organic. Evolving beyond personal care to products for your home, office, pets, foods, etc. That's not just our slogan, it's apart of our Product Development Process. Every product made by Forever Eden is tasted by staff to determine various points of quality control. Thankfully we only use USDA Food Grade Organic Ingredients, making some products a sweet treat!